Iwasaki M, Mizunami M, Nishikawa M, Itoh T, Tominaga Y (1999) Ultrastructural analyses of modular subunits in the mushroom bodies of the cockroach. J Electron Microsc 48: 55-62. 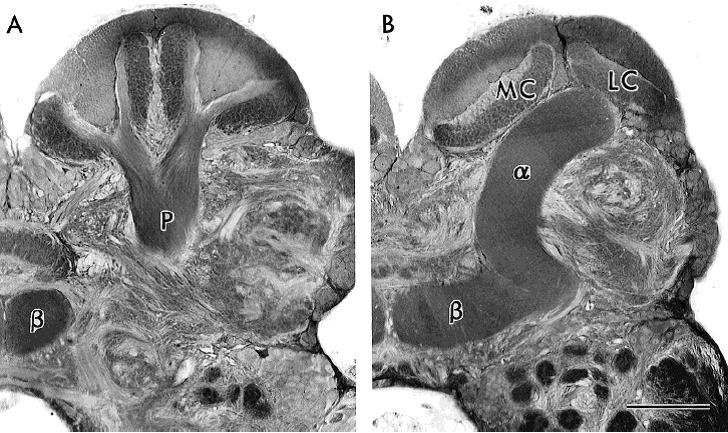 Li YS, Strausfeld NJ (1997) Morphology and sensory modality of mushroom body extrinsic neurons in the brain of the cockroach, Periplaneta americana. J Comp Neurol 387: 631-650. Li YS, Strausfeld NJ (1999) Multimodal efferent and recurrent neurons in the medial lobes of cockroach mushroom bodies. J Comp Nuerol 409: 647-663. Malun D, Waldow U, Klaus D, Boeckh J (1993) Connections between the deutocerebrum and the protocerebrum, and neuroanatomy of several classes of deutocerebral projection neurons in the brain of male Periplaneta americana. J Comp Neurol 329: 143-162. Mizunami M, Iwasaki M, Okada R, Nishikawa M (1998a) Topography of modular subunits in the mushroom bodies of the cockroach. J Comp Neurol 399: 153-161. Mizunami M, Iwasaki M, Okada R, Nishikawa M (1998b) Topography of four classes of Kenyon cells in the mushroom bodies of the cockroach. J Comp Neurol 399: 162-175. 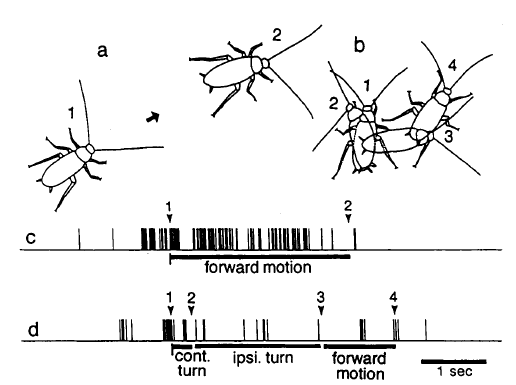 Mizunami M, Okada R, Li YS, Strausfeld NJ (1998c) Mushroom bodies of the cockroach: activity and identities of neurons recorded in freely moving animals. J Comp Neurol 402: 501-519. Mizunami M, Weibrecht JM, Strausfeld NJ (1998d) Mushroom bodies of the cockroach: their participation in place memory. J Comp Neurol 402: 520-537. 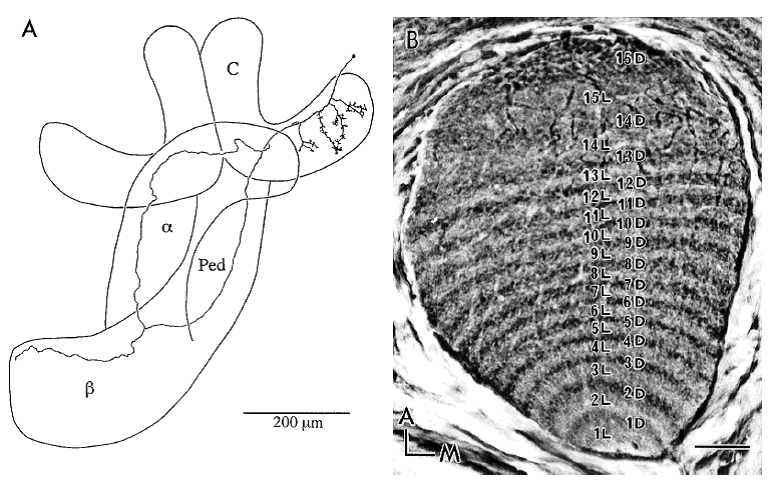 Nishikawa M, Nishino H, Mizunami M, Yokohari F (1998) Function-specific distribution patterns of axon teminals of input neurons in the calyces of the mushroom body of the cockroach, Periplaneta americana. Neurosci Lett 245: 33-36. Nishino H, Iwasaki M, Yasuyama K, Hongo H, Watanabe H, Mizunami M (2012) Visual and olfactory input segregation in the mushroom body calyces in a basal neopteran the American cockroach. Arthropod Struc Dev 41: 3-16. Nishino H, Mizunami M (1998) Giant input neurons of the mushroom body: intracellular recording and staining in the cockroach. Nurosci Lett 246: 57-60. Okada R, Ikeda J, Mizunami M (1999) Sensory responses and movement-related activities in extrinsic neurons of the cockroach mushroom bodies. J Comp Physiol A 185: 115-129. Stopfer M, Wehr M, MacLeod K, Laurent G (1999) Neural dynamics, oscillatory synchronization, and odour codes. In: Insect olfaction. ed. Hansson BS. Springer, Verlag, Berlin, Heidelberg, New York. 163-183.